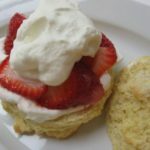 Classic American strawberry shortcake: It’s the strawberry season in Florida so we would like to share with you a classic recipe from the Southern states, Strawberry Shortcake. 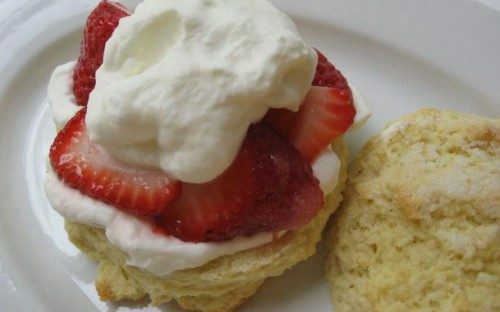 This recipe reminds me of scones with strawberries and cream, infamous all over southern England. 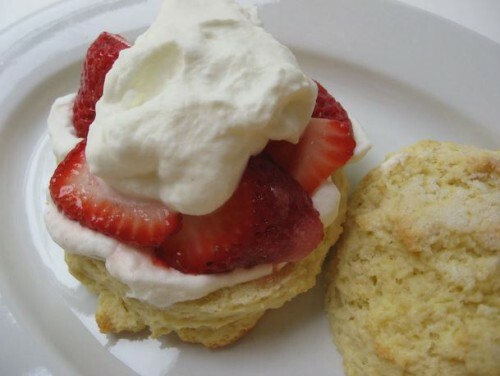 The American shortcake is not unlike a British scone, varying only in a few ingredients and is like an American biscuit which is unlike a British biscuit. A British biscuit is something entirely different. Are you following us so far? We have been sitting on our recipe for Classic American Strawberry Shortcake for a while now and thought it was about time to share it with you and our Italian friends. This is the reason for borrowing a picture from Best Biscuit Recipes.com. We only hope they don’t mind but it won’t be long before we are making our own! Many of us are often too short on time to deal with baking but the great thing about this classic strawberry shortcake is that the shortcake can be made ahead of time and frozen. Defrost them on the morning of the day you plan to serve them or reheat them in the oven at 350 F / 176 C for 5 – 7 minutes. Combine the strawberries, 2 quarters of the sugar, vanilla extract and lemon juice. Cover and allow to stand at room temperature for 2 hours. Whip the cream until soft peaks are formed. Cover and chill for up to 2 hours. Preheat the oven to 450 F / 230 C.
For the shortcake: combine the flour, the remaining sugar, baking powder, butter and salt and using your fingertips, mix until it resembles fine breadcrumbs. 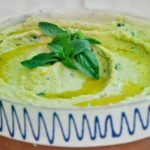 In a mixing bowl, whisk together the eggs with the sour cream then add this to the flour mixture and stir to form a soft dough. Drop 1/3rd of a cup (50 grams) of dough onto a lightly greased baking sheet about 1 inch (2 cm) apart. Bake in the centre of the oven for 12 – 15 minutes until the rise and are golden brown. To serve, cut the shortcakes in half horizontally and place the bases on serving plates. Then spoon over some strawberry mix, top with whipped cream and the top of the shortcake.